RCIA sessions have begun. It is not too late to join us. We look forward to meeting you. The sessions are held on Thursdays at 6:30 p.m. in the Fireside Room at the Cathedral. Use the Parish Office entrance on 4th Street and follow signs to the Fireside Room. If interested, contact Fr. Peter Muhich, Fr. Jeremy Bock, 728-3646, or Bob and Sandi Arola, 525-2962, arola71@gmail.com. The Rite of Christian Initiation of Adults is a journey of faith for persons who are not baptized, who are baptized in another Christian tradition and desire to become Catholic, and baptized Catholics in need of First Communion and/or Confirmation. Bishop Paul D. Sirba and Fr. 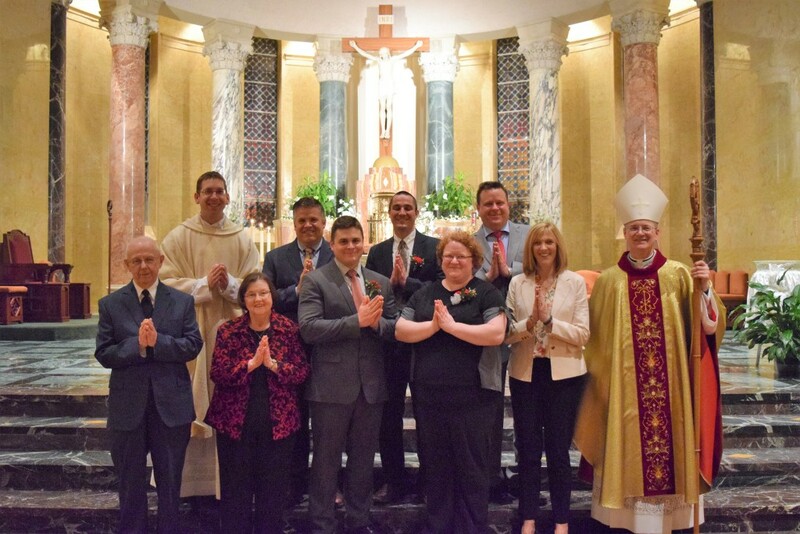 Jeremy Bock are pictured with our fully-initiated Catholics and their sponsors after the Easter Vigil on March 31, 2018. We welcome and congratulate Michael DeCaprio, Douglas Greiner and Katharine Hartley. Bob and Sandi Arola, RCIA leaders and catechists, are also shown in the photo. Please contact Fr. Peter Muhich or Fr. Jeremy Bock, 728-3646, or Bob and Sandi Arola, 525-2962, arola71@gmail.com for more information. "Though deciding to start RCIA is a big step, the journey is well worth it!" "I'm a little embarrassed that I had considered it for several years. Now that I have gone through RCIA, I wouldn't trade the experience for anything. It left me with a deeper feeling and connection to both the Church and the Eucharist. Thank you." "The RCIA classes offer incredible insight into the Church, its teachings, its history and its people. Completion of the RCIA classes and becoming a Catholic has served to rebuild my relationship with God and has created a solid foundation on which I will build my spiritual life." 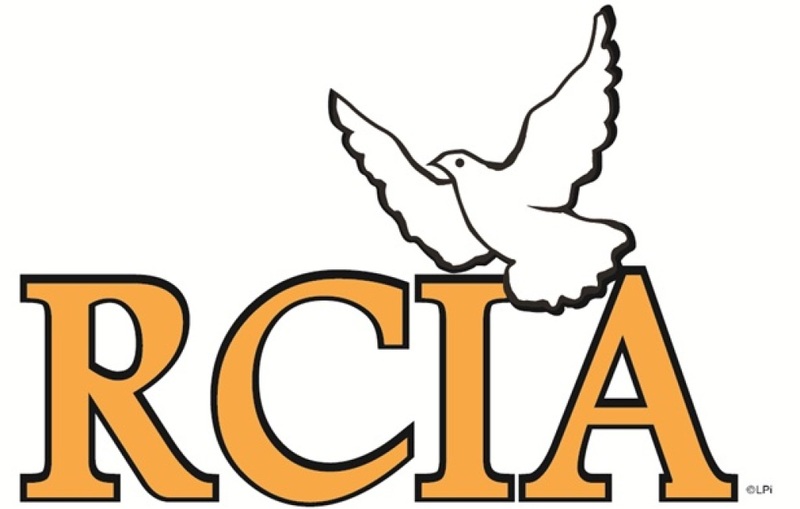 "The RCIA journey is an amazing educational experience. It is a great way to begin or grow upon your relationship with the Church. I truly found comfort and joy throughout the experience that I will continue to carry with me as my relationship with God continues to grow." "The Easter Vigil was an extraordinary occasion when I received full graces upon entering the Church with all my Catholic brothers and sisters praying for me." "Everything I learned seemed to come together during the Easter Vigil. It was an experience I will never forget."